$60 for this all day seminar until May 9th. After May 9th and at the door, cost will be $80. Payment can be made via Paypal link on our home page. The MWAA is proud to host an all day intensive with Guru Marce DeThouars , Guru Santiago Dobles and Guru George Morin as they share the Art of Pendekar Paul DeThouars, past, present, and future. Join us as we support Guru Marce Dethouars in his quest to share the true knowlege of DeThouars Pukulan Pentjak Silat Serak & Buhkti Negara. Bukti Negara is a highly refined pukulan based fighting system which was born out of decades and decades training, and practical street fighting experience. This system is comprised of elements from Pukulan Pentjak Silat Serak. Bukti Negara is a close quarters combat system designed for multiple opponents which utilizes, internal and external body physics, angulation, third dimensional geometry, devastating strikes and unmatched footwork along with deep understandings of internal energies and power generation. 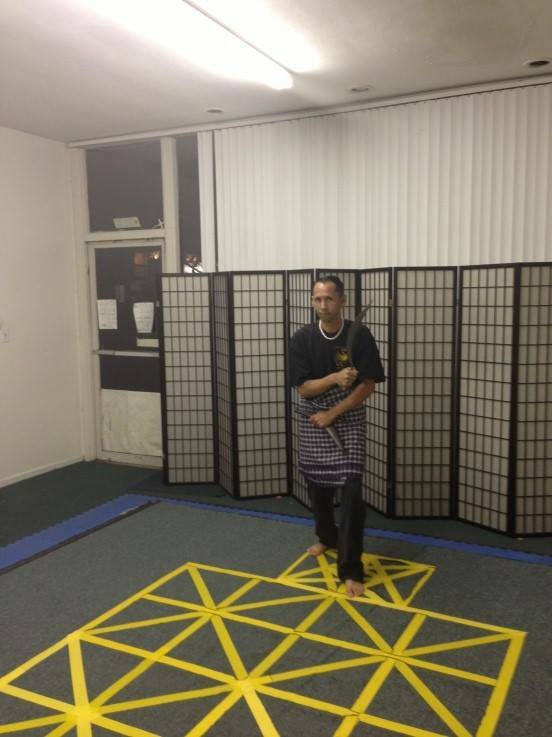 All of these basics are required in order to find the perfection in Pentjak Silat Bukti Negara. Pendekar Pauls’ lifetime experiences in fighting and teaching has allowed him to develop this unique martial art into a true martial science.